We’ve found great deals at 11 hotels! 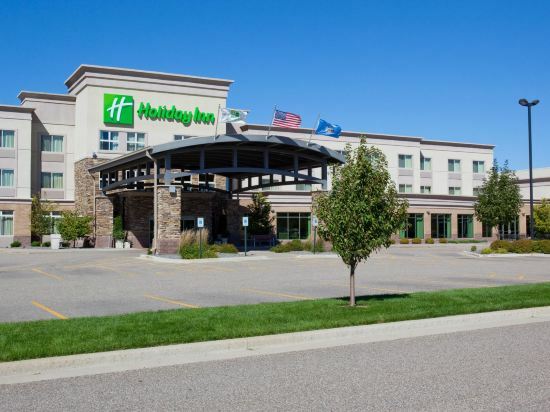 This Hotel's Guests in Stevens Point, WI Travel Green Lodging at the Holiday Inn? Stevens Point - Convention Center hotel is the environmentally friendly way to experience everything in Stevens Point, WI. The hotel's shuttle not only goes to Central Wisconsin Airport (CWA) for a fee, but will also take guests within five miles for free. There's no better place to stay while on a business trip in Stevens Point, WI. Since the hotel's location is off I-39 and Rt 51, it's easy to get to Travel Guard, Sentry Insurance and Delta Dental. 38,000 sq ft of meeting space is available for your next event. Guests can use the 24-hour Business Center and free Wi-Fi access to keep in touch with the office, as well. Enjoying the great outdoors is easy when you stay with us. The Green Circle Trail offers over 30 miles of gorgeous trails to hike or bike along. Golfers can hone their skills at the nearby Sentry World Golf Course. And if the outdoors isn't for you, visit Stevens Point Brewery for a legendary brew while in Stevens Point, WI. Our smoke-free lodging has a host of great amenities, from the extensive Splash Point Water Park with a three-story slide to our 24-hour Fitness Center. You can get four tickets to the park with the price of a room! If you get hungry, feast on Amber Grill. With a game room, patio bar and live entertainment on weekends, you'll never want to leave the Holiday Inn? Stevens Point hotel. 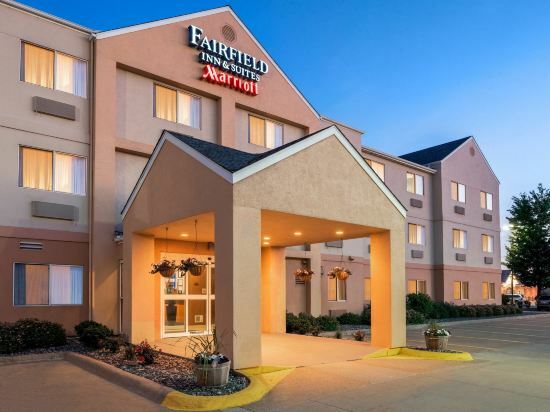 You'll Adore the Hotel's Location in Stevens Point, WI This hotel's unparalleled service is matched only by its ideal location for business and leisure travelers. 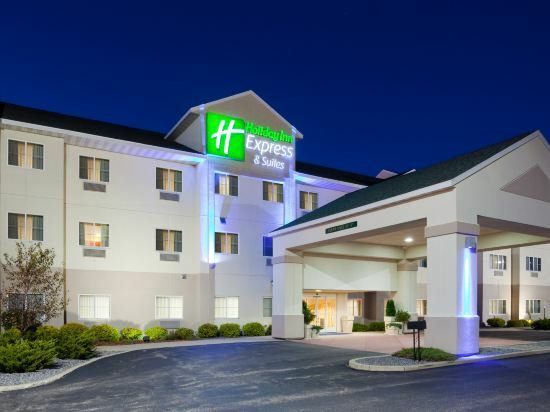 Because it is located just off I-39 and near the Convention Center, you'll find no better place to stay than the smoke-free Holiday Inn Express? Hotel & Suites Stevens Point, WI lodging. The hotel's superior location and facilities are designed to cater to the needs of business travelers. Print out last-minute documents in the Business Center with help from free Wi-Fi access. A 300-sq-ft meeting room is perfect for events of up to 20 people. Not only is the hotel near the Holiday Inn? Convention Center and AIG, but it has a shuttle that runs in a five-mile radius. Here in Stevens Point, WI, our lodging is the best choice for leisure travelers. We're just moments from Stevens Point Brewery and the renowned SentryWorld Golf Club. Across the street, the Holiday Inn? Stevens Point Convention Center is home to Splash Point Water Park; don't forget to ask about our money-saving package that includes access to the park and pizza at Rudy's Redeye Grill! This pet-friendly hotel has more to offer than just a great location. Relax by the indoor, heated pool or soak in the whirlpool. You can keep up your workout routine using the well-equipped Fitness Center. Each morning, we pamper our patrons with a hot and free Express Start Breakfast Bar, too. Reserve your room today. This hotel features an indoor swimming pool, a hot tub, and modern rooms with a flat-screen TV and free Wi-Fi access. University of Wisconsin Stevens Point is one mile away. Guest rooms at the Stevens Point Fairfield Inn offer comfortable bedding and modern fittings including cable TV. It has basic self-catering facilities such as a tea / coffee maker and a microwave. Each accommodation has a well-lit work area fitted with a comfortable chair and electrical outlets. An iron and ironing facilities are provided for each room. Healthy items, muffins and bagels are served for the complimentary continental breakfast. Fairfield Inn by Marriott also offers an on-site fitness center and an airline reservation desk. Fairfield Inn by Marriott Stevens Point is 3 miles away from Sentry World Golf Course. Central Wisconsin Airport is a 25-minute drive away. Featuring a heated indoor swimming pool, this hotel is 2 miles east of the University of Wisconsin – Stevens Point. Each guest room is equipped with a flat-screen cable TV. 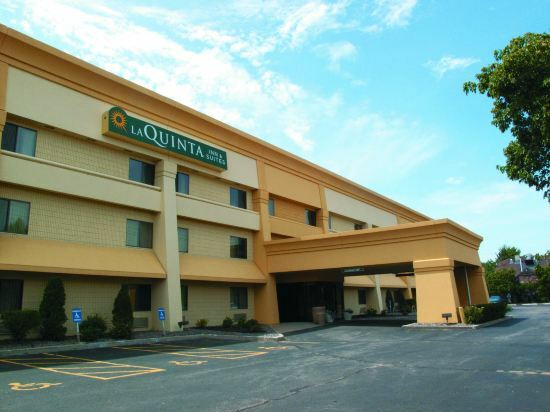 Free Wi-Fi is available in every room at La Quinta Inn and Suites Stevens Point. Tea and coffee-making facilities and a hairdryer are included for guest convenience. Waffles, fresh fruit, coffee, and more are served as part of the daily continental breakfast at Stevens Point La Quinta Inn and Suites. A fitness centre and launderette facilities are also provided. Stevens Point Brewery can be reached in 9 minutes’ drive from this hotel. Sentry World Golf Course is 2 miles away. 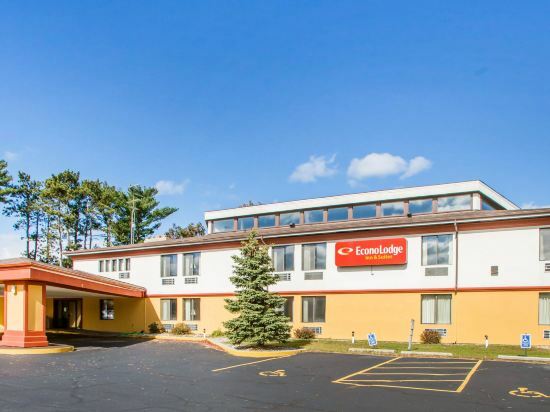 Nestled among pines in the heart of Wisconsin, the Econo Lodge Inn andSuites hotel is the ideal place to stay in the Stevens Point, WI area. TheUniversity of Wisconsin-Stevens Point is two miles away. EnterpriseRent-a-Car has an office in our main entrance. Everything from eating,driving, playing, swimming, sauna, gaming, banquets from 15-300 and eightmeeting rooms makes for a most enjoyable experience. The hotel has a largepool and direct access from poolside rooms to the Adventure Dome whichsurrounds the large pool and sauna. Featuring free WiFi throughout the property, Baymont Inn & Suites Stevens Point offers accommodation in Stevens Point. Free private parking is available on site. Certain rooms include a seating area for your convenience. A flat-screen TV is available. You will find a 24-hour front desk at the property. There are many discounted hotels on Trip.com. On Trip.com, it's easy to search for hotels in Stevens Point. Stevens Point is a quiet city. You'll definitely feel relaxed during your visit. You can plan a day tour in Stevens Point. There is no civilian airport in this city. You can visit a nearby city first, and then head to Stevens Point using other means of transportation. It's easy to travel by bus in Stevens Point. There are buses to surrounding cities available every day. Stevens Point is not a tourist city, so the hospitality industry there isn't very well-developed. Many hotels can only be booked on location. The local average price is 96 USD per night. There are a variety of hotels to meet the needs of different types of travelers. There are 5 three-star hotels in Stevens Point at an average price of 94 USD per night. There are 5 two-star hotels in Stevens Point at an average price of 95 USD per night. Stevens Point has many well-known chain hotels which are suitable for both business trips and vacations. 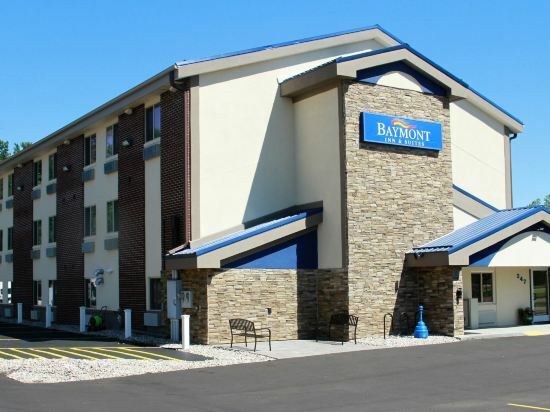 In Stevens Point, chain hotels such as Days Inn are one of the top choices among travelers. If the comfort level of your trip is important, there are many choices in Stevens Point, such as hotels under the Days Inn brand. Country Inn & Suites by Radisson, Stevens Point, WI is one of the most popular hotels in Stevens Point. If you're still unsure, Trip.com recommends Baymont by Wyndham Stevens Point. For short trips in Stevens Point, Slo's Place are all good options. The most popular attractions for tourists in Stevens Point are Congress Club, Frank & Ernie's, Heritage Pub. With a developed commercial area, visitors can head to Samsonite, K-Mart for a great shopping experience. Stevens Point hotel information & deal: Check out room rates, photos, a map and reviews of hotels in Stevens Point and find the best deals on Stevens Point hotels. Trip.com offers big savings on online reservations for Stevens Point accommodation. Book Stevens Point vacation packages and Stevens Point tours with huge discounts on Trip.com!